For many years, Master Lin Hsien-Tsung searched for a key to unlock the shackles of the mind. He traveled all over the world to find a method or technique that could solve Mankind’s problems and release potential. The quest for such a key took teacher Lin to Australia and the United States, where he studied Western science and processes of the mind, but he still could not find an effective way to break through. He also read extensively, from psychology, philosophy science, quantum physics, and mind sciences, to classics of various religious sects and factions. Finally, he saw a light after studying Buddhism for decades. From concepts of the Consciousness-Only school, he developed the technique that can completely remove deep obstacles in the human mind – “Consciousness-Only Deep Communication”. So far, he has completed nearly ten-thousand successful cases, helping others to improve their lives, and revealing the mysteries of human life. Master Lin is a wonderful man, greatly admired throughout Asia and the world for his insights and charitable activities. He has written numerous books, including Communication with the Mind, Little to the Voice of the Little Souls (Children), Amaquarious, the Road to Awakening and Bravery, Genetic Mind Transformation, (We) Never Die, I am an Alien, Genetic Mind Transformation in Business, Guardian Spirit Communication Card, the Mind Magic Game, Jing-Guan DVD Series, Detecting Illness Factors, Overcoming Obstacles in Career and Finance, Revealing the Mystery of Marriage, Parents-children mind Dialogue, Dialogue between Life and Death, and the Mystery of the Life Cycle. 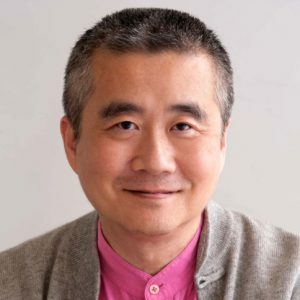 His present Positions are the: Creator / “Consciousness-Only Deep Communication” Technique, a full time lecturer at the Jing Guan Spirit-Mind-Science Research Institution, and Executive Director of the Taichung Correct-awakening Buddhist Young Men’s Association. Master Lin gave a keynote speech at my Galactic Wisdom Conference in Olympia, Washington in March 2017.